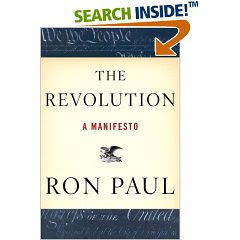 The Revolution: A Manifesto by Ron Paul is the #1 best seller on Amazon.com. Buy yourself a copy today. Click here to read the CNN article about Ron Paul's best seller book. The Hillary U-Tube video was really funny. Thanks.